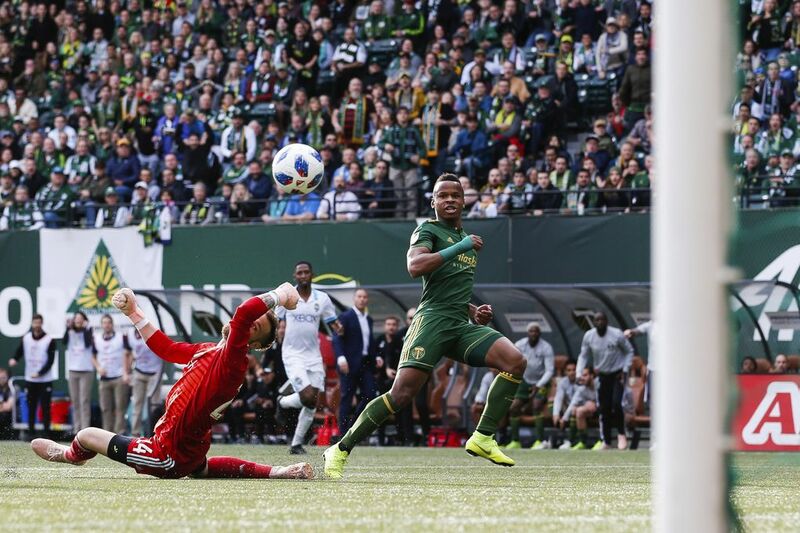 An early goal from Raul Ruidiaz appeared to put the Sounders in control of the first leg of their Western Conference semifinal against Portland, but the Timbers quickly came roaring back, setting up a decisive Leg 2 Thursday in Seattle. 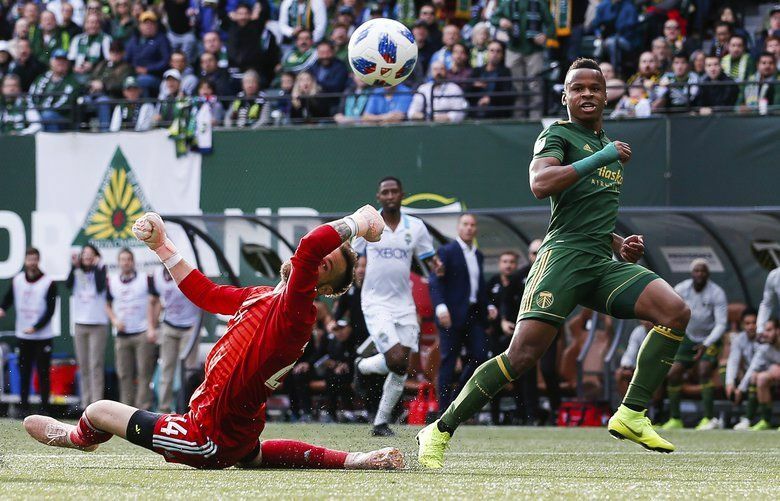 PORTLAND, Ore. – One-by-one after this opening playoff defeat, a confident group of Sounders reminded themselves and everyone else of what they’ve already overcome just to get here. 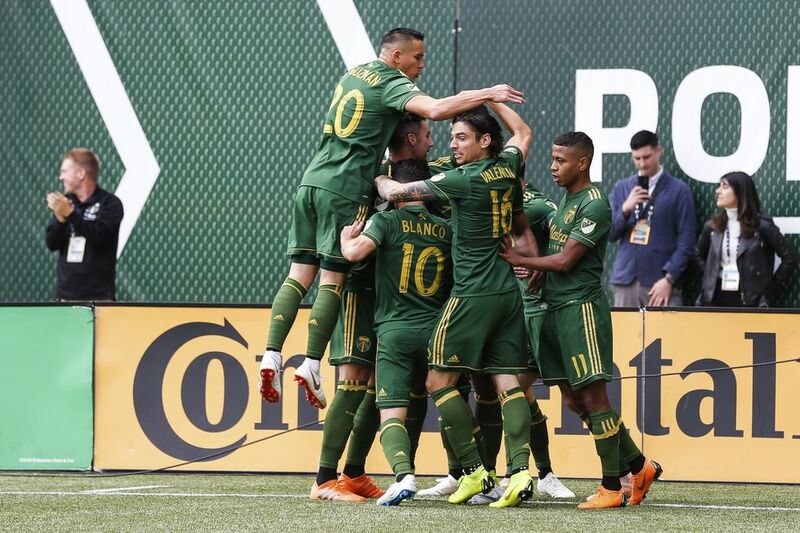 They shrugged off Sunday’s 2-1 loss to the Portland Timbers as a mere bump on that road, a 12-minute span of first-half disarray in which Diego Valeri and Sebastian Blanco ran wild while a hostile, hyped-up Providence Park crowd made it feel as if the ground beneath would open and swallow the Rave Green whole. 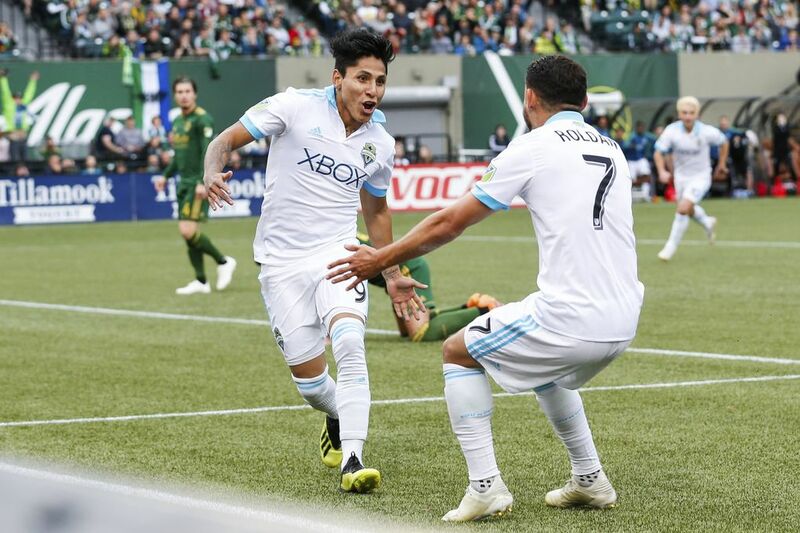 But the Sounders, still very much in this two-leg Western Conference semifinal aggregate goals series courtesy of a crucial Raul Ruidiaz away goal, insist this latest adversity is nothing they haven’t stared down before. 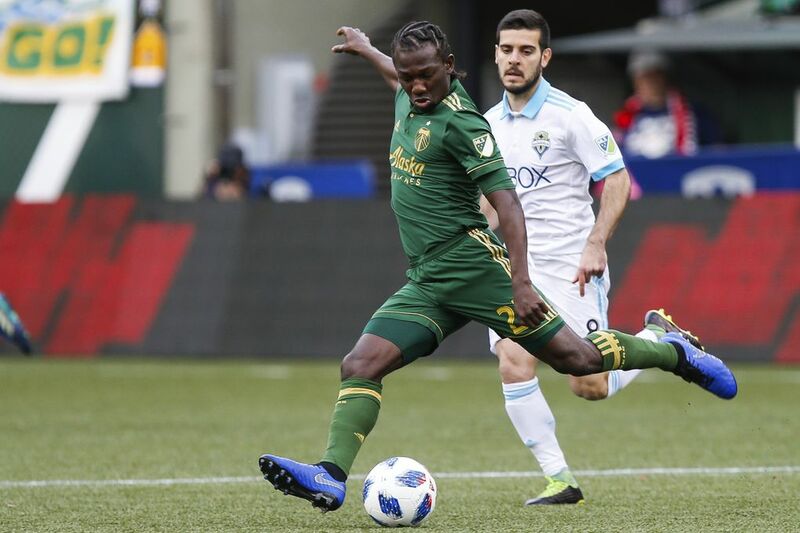 The 10th-minute away goal by Ruidiaz means the Sounders need only defeat the Timbers 1-0 in the second series leg Thursday at CenturyLink Field to advance to the conference final. Away goals serve as the aggregate series’ first tiebreaker, meaning the Sounders are in decent shape if they can score and also play their usual stingy defensive home game. And while they’d have preferred not to allow a tying goal in the 17th-minute by Jeremy Ebobisse that was barely onside, and a go-ahead strike in the 29th-minute by Sebastian Blanco, it could have been far worse. They’d failed to win for only the third time in Major League Soccer play this season when holding a lead. It was also the first MLS game they’d lost after being ahead since June 2017 at New York City FC. Throw in a first half hip flexor injury to Cristian Roldan and right knee injury to Chad Marshall and the game, series and season could have spiraled beyond control in a hurry. 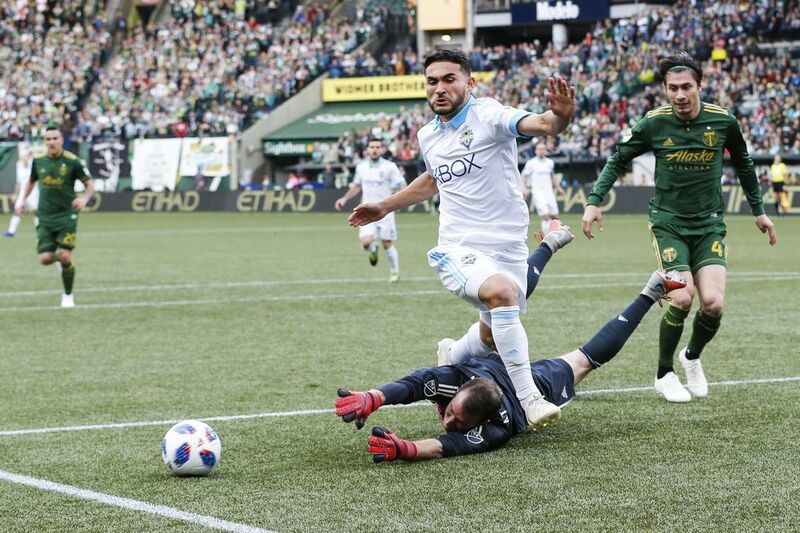 But while both could miss Thursday’s match, Marshall sustained no ligament tears and he and Roldan could both play again in any ensuing round. Not only that, the Sounders managed to regroup, control much of the second half and nearly tied things a couple of times on close-in Victor Rodriguez chances. Sounders goalkeeper Stefan Frei echoed those sentiments. Midfielder Osvaldo Alonso felt his team controlled the second half tempo and players were disappointed not to come away with more. Some might accuse the Sounders of being too optimistic since – away goal or not – they’ll be eliminated Thursday if they fail to score. But then again, this is a team that went 15-2-2 down the stretch, winning 14 of their final 16 games to not only make the playoffs, but also clinch the No. 2 seed and first round bye. It’s a team that last played a two-leg series back in February and March in opening round CONCACAF Champions League action against Santa Tecla FC. After losing the opener 2-1 in El Salvador, the Sounders blew Santa Tecla out 4-0 in the second leg at home to advance. Sure, they’ll need to tighten up defensively, as they did in the second half of Sunday’s contest. Prior to that, Sounders center back Kim Kee-hee had un-customarily let Ebobisse blow on by him to receive a great ball from Valeri for a tying goal. 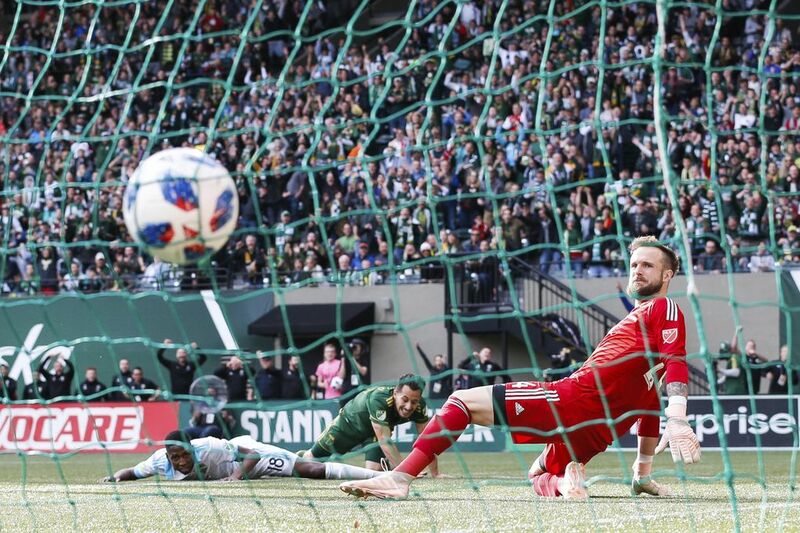 Later, Valeri was able to race on past two defenders before Blanco took over and beat Frei to the far post for the eventual winner after a brilliant cutback move inside the box. But there’s a reason the Sounders had only won here once in four years. And a similar reason why the Timbers had never won a regular season MLS game at CenturyLink Field until last June. These rivalry matches are emotionally and physically tough, as the rising body count throughout Sunday’s match confirmed. The capacity crowd here felt at times like it was right on top of the Sounders and they lost just enough of their cool over that 12-minute span that it cost them big. Sounders coach Brian Schmetzer said his players “could have done a little better on’’ the individual plays leading to both Portland goals. 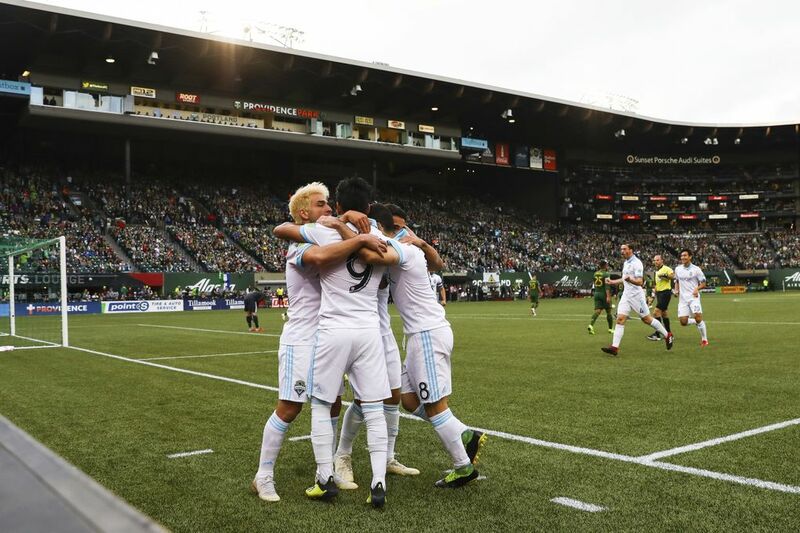 But he felt the team did a better job of establishing possession in Portland’s end during the second half and did enough to come away with a better result had some bounces gone their way. The facts also say Schmetzer’s team has won nearly every MLS game it had to since July. So, they aren’t betting against doing it one more time.